Intel is reportedly preparing a new class of processors based on the 14nm process, known as Kaby Lake-G. 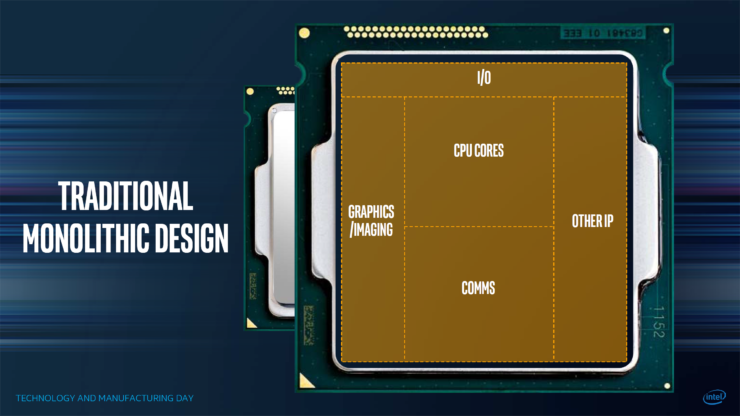 The new processors, although part of the current 7th gen family, will be packing a revolutionary design scheme. According to Benchlife, a new Intel roadmap has seemingly confirmed that Intel is preparing the latest Kaby Lake-G processors. These processors will feature advanced technologies that do away with the older, conventional design scheme seen on Intel consumer chips. The new processors will feature core tech utilizing 14nm process and will have a dedicated PCI Express link to a separate discrete GPU along with faster HBM2 memory. 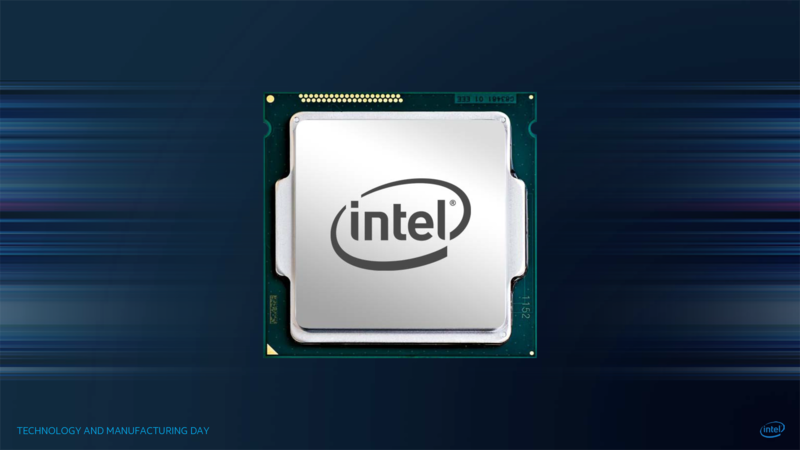 Intel recently confirmed at their Technology and Manufacturing Day that they’ll be moving towards a more robust and heterogeneous architecture. 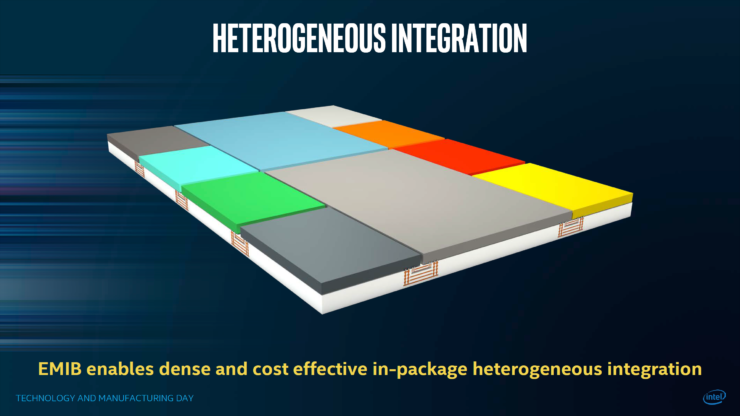 The new architectural layout will allow Intel to mix and match various CPU components and dies based on different process nodes and interlinking them on a single chip. This would allow Intel to do away with the cost and efficiency of a single monolithic design and utilize smarter and more efficient designs for their future processors. 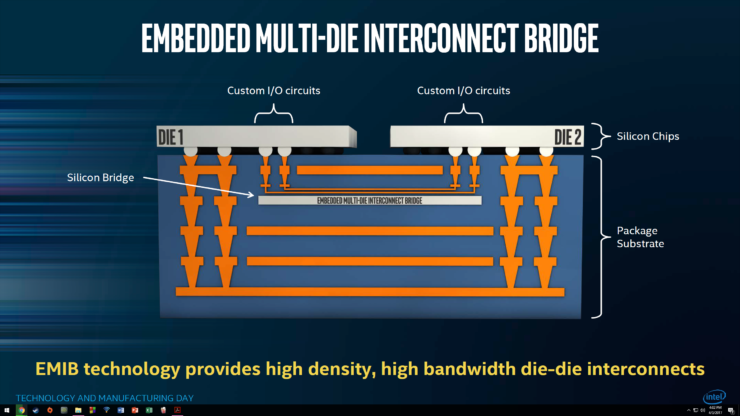 The new processors will utilize an embedded, multi-die interconnect bridge allowing for high density and high bandwidth, die-to-die interconnects. 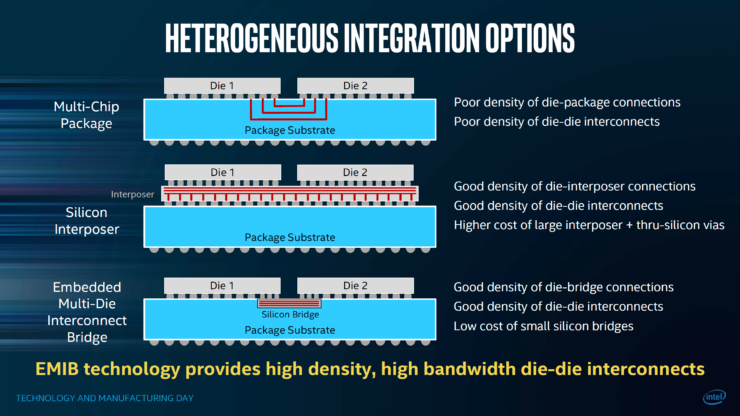 The main difference between a multi-chip package and a multi-die integration technique is that the former has poor density of die connections and interconnects while the later is not only denser but brings significant advantages at a lower cost. 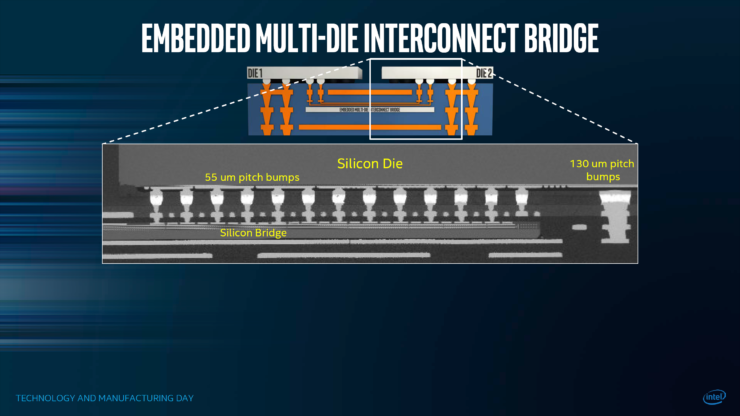 Intel could have gone with a silicon interposer layout but that costs more due to the massive number of TSV’s that need to be embedded underneath the main dies. 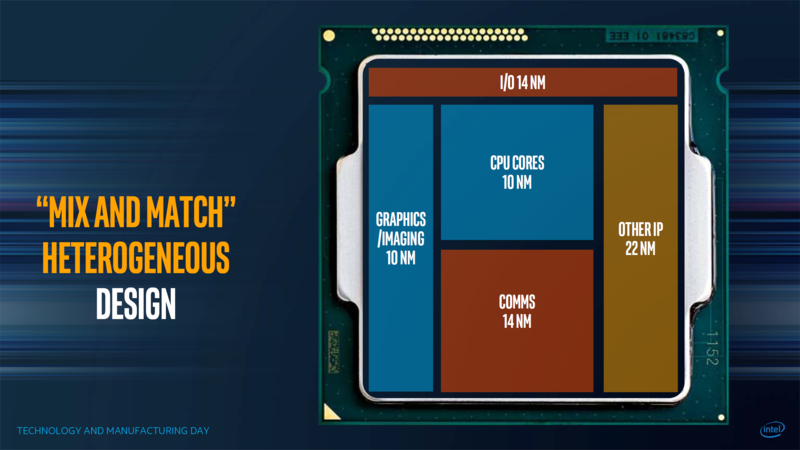 The two chips that will be part of the Kaby Lake-G series will feature the BGA (Ball Grid Array) design and a package size of 58.5 x 31mm. For comparison, a desktop Kaby Lake-S has a size of 37.5 x 37.5mm while the Kaby Lake-H series chips for laptops have a size of 42 x 28mm. So it’ll be a big package but there’s a reason why it’s so large. Intel Kaby Lake-G series SKUs listed by Benchlife. The two models feature 4 cores so we are looking at a quad core design. The CPU die comes with a GT2 graphics chip and the two SKUs have TDPs of 100W and 65W. The chip doesn’t contain any on-package cache so it would be extremely weird for a normal quad core chip with GT2 graphics to pack such a high TDP. The reason it is so high is because the chips are said to pack HBM2 memory and a discrete GPU on a separate die. The separate GPU will be connected to the main CPU die through a PCIe x8 (Gen 3.0) interface and the HBM2 memory will serve as the main on-board VRAM for the discrete level GPU. There’s no telling if the on-board GPU is an in-house Intel design or part of the alleged licensing deal between Intel and AMD that will allow Intel to use AMD’s graphics IP for their processors. 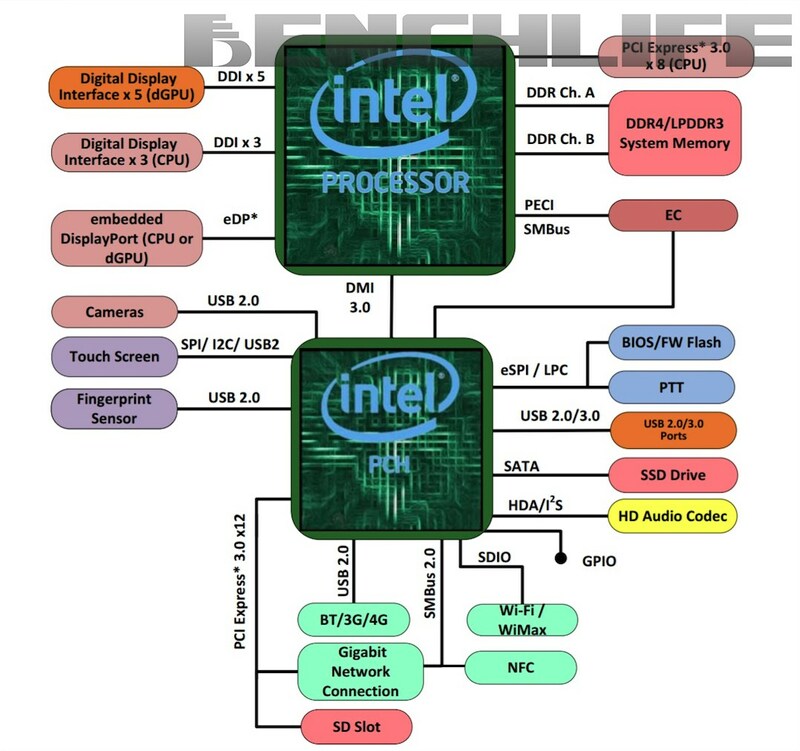 Also, it’s worth noting that the chips don’t come with an integrated PCH, but will instead be located separately on the board as Kaby Lake-G series are aimed at 2-chip platforms (main chip + PCH). Little is still known about the Kaby Lake-G series but it’ll be interesting to see if a deal really formulates between AMD and Intel allowing faster processors with capable graphics cores.